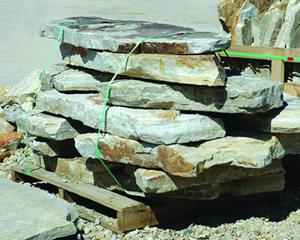 Available in a wide range of sizes and shapes, boulders are used extensively in park settings as functional design elements and in erosion control/bank retention designs. A rugged limestone that projects a strong and robust look, ideal for the aged look common to many restorative efforts or fresh split for a new build. Natural weathered faces and blue-gray split faces are complimented by black speckles and white crystal highlights in some pieces. Once referred to as heavy flagging, garden steppers are thicker than irregular flagging and may be used in areas of limited vehicle traffic and/or heavy foot traffic. 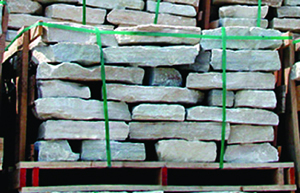 Used extensively in the creation of parks, steps, and waterscapes, slabs are thicker and generally longer than garden steppers. 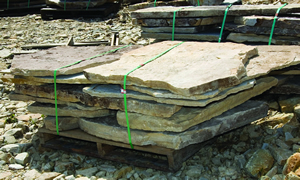 A quartzitic sandstone with an advancing and receding surface that resembles a windswept and sandy beach. Visually smooth, yet heavily textured with a blend of tan, antique white, ice blue, amber, and brown. 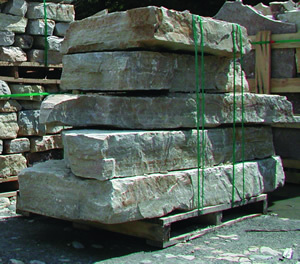 South Bay Quartzite® will enhance any home from warm beach cottages to cozy cabins deep in the woods. 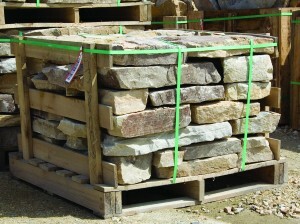 Larger, blocky pieces of stone used for exterior free-standing walls. 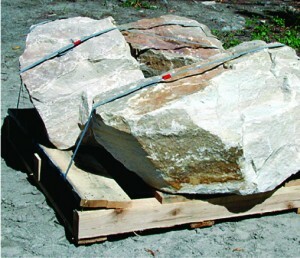 When installed, the stone will exhibit both seam and split faces. Typically blended with other products for ease of installation and a custom look. Generally used for limited foot traffic areas such as patios, walkways, and around pools. 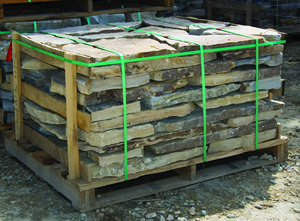 Flagging stone is irregular (mosaic) in shape and exhibits the seam face of the stone. 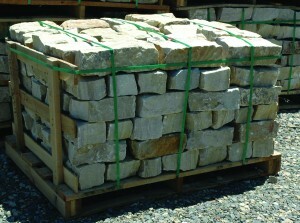 Also used as cap material for landscape walls. 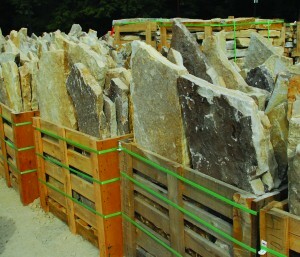 Thinner, smaller pieces of stone with depths typically less than that of other wall stones. Ideal for low exterior walls. Often blended with other products for ease of installation and a unique finished appearance.